I was a professional photographer way back when we were still using film. I was very excited when digital cameras began to arrive and had one of the early models. It was revolutionary that I could take a photo and see it right away. I no longer had to hope that my pictures came out the way I had envisioned. 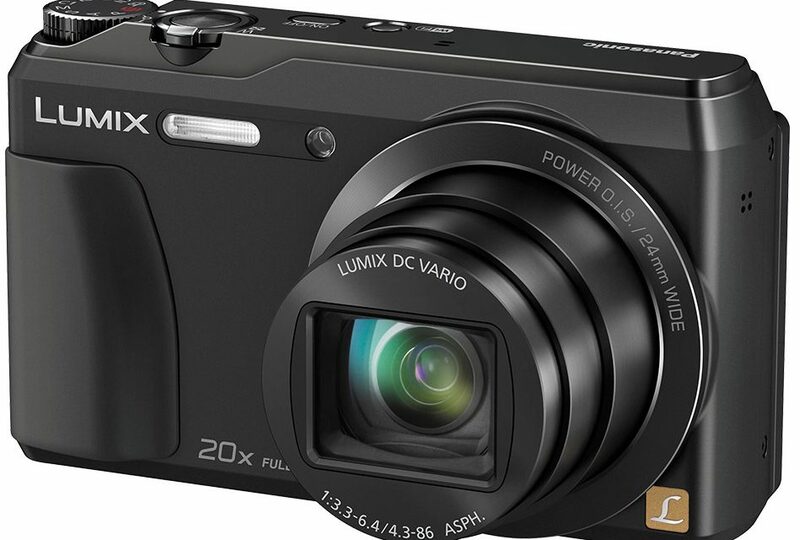 These days digital point and shoot cameras are so much better than the early models. Of course, most smartphones also contain cameras and for many folks, the pictures they take are good enough. For travel photography though, I think a zoom lens is necessary, the more zoom the better. Of course you also want a model that makes sharp, clear images. Digital cameras today are specifically designed for different types of photographers and are priced from under one hundred dollars up to several thousands of dollars. For the traveler who wants to quickly and easily capture the amazing variety of vistas, people, and wildlife they discover, there is a class of compact zoom digital cameras that is just the ticket. To me, the most desireable camera is the one that you have with you when that special moment that you want to capture suddenly arrives. Larger DSLRs are perfect for the serious professional, but compact digital zoom cameras fit in a purse, pack or pocket and are the most likely to be taken along on every outing. For years now, I have left my larger camera with interchangeable lenses at home and opted instead to do all my photography with a Panasonic Lumix digial camera with a zoom lens. I am very satisfied with the photos that I have taken with both of these cameras, many of which you can view in the Photo Journal portion of Joyful Journeying. They are easier to use than many cameras in the compact category with knobs and buttons for most functions – not just on-screen menus. The Lumix camera I am currenty using is only a few years old but has already been replaced by a succession of newer and more advanced models. The reviews and ratings of these models show them to be still highly regarded and I am sure that I will be upgrading soon. Easy Connection – Connect the camera to your smartphone or tablet by displaying the QR code on the camera screen. Remote Shooting/Remote View – With the “Panasonic Image App”, you can utilize a smartphone or tablet as a controller to zoom, set the focus and shoot from a distance. You can also instantly upload and share your images on social media using the App on a smartphone or tablet. Geotagging – Tag the location information to the image by utilizing the GPS log of a smartphone / tablet and share it to the preferred social media. Simply tilt the monitor up 180° and optimal selfie settings are automatically made. Then trigger the shutter simply by winking at the monitor for more flexible and spontaneous posing. Three imaging effects give you more expressive selfies. Soft Skin mode makes skin look brighter and smoother. Slimming mode sharpens facial lines. And Defocusing mode keeps you clearly focused while gently softening the background. The integrated 16-megapixel MOS sensor delivers high-speed signal output and high-sensitivity image recording. A superior S/N ratio of MOS sensor and noise reduction in the imaging engine provides exceptional clarity in photos and video shot at any sensitivity, from low to high. The slim, pocket-size SZ45 includes a powerful 20x optical zoom lens* to bring people, pets and scenery in close for clear, natural images. A large 3.0-inch, approximately 1,040k-dot LCD instantly provides clear visibility for shooting and playback in any conditions. And makes it easy to view and share images with family and friends. High-speed digital signal output lets you shoot at 10 fps in high-speed burst mode with the mechanical shutter, and when burst-shooting with flash. Power O.I.S. automatically minimizes blur even when shooting with a powerful zoom. And Active mode effectively suppresses hand-shake vibration when recording video. Recording PC-compatible, Full HD 1,920 x 1,080 video in MP4* starts with the simple push of an independent motion picture button. And you can switch from video to photo shooting and back again instantly. With a variety of filter effects, Creative Control lets you add artistic and original expression to photos and videos. Creative Panorama function allows you to create dynamic vertical or horizontal panoramic photo with a unique touch just by swiveling the camera. Filter Effects include Expressive, Retro, Old Days, High Key, Low Key, Sepia, Dynamic Monochrome, Impressive Art, High Dynamic, Cross Process, Toy Effect*, Miniature Effect*, Soft Focus**, Star Filter**, One Point Color. ** Cannot be used in video recording. * Cannot be used in Creative Panorama. Summary Great zoom lens camera for the traveler produces sharp photos and includes advanced selfie features.